The structure of the “black soil” in Northeast China has been greatly deteriorated by long-term intensive conventional mouldboard plow tillage (CT) practices. 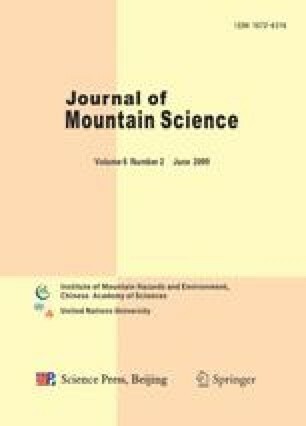 In this study, micromorphological observation and image analysis of soil thin sections were conducted to evaluate the impacts of 21 years (1986–2007) of no tillage (NT) on soil structure as compared to CT in an experiment near Gongzhuling City, Jilin Province. Soil organic matter (SOM), wet aggregate stability and saturated hydraulic conductivity (Ks) were also analyzed. Total SOM was not significantly affected by tillage systems, but fresher SOM was observed in the surface layer under NT. The aggregates under NT showed different hierarchies in the form of crumbs, and the mean weight diameter (MWD) of NT was significant higher than that of CT in the surface layer. Platy and blocky aggregates were frequently observed in the lower layers under CT practice. The compound pore structure with intertwined intra- and inter- aggregates pores under NT was well developed in a layer from 0–5 cm to 20–25 cm. While under CT system, more inter-aggregate pores and fewer intraaggregate pores were observed, and planes and channels were frequently found in the 20–25 cm layer, where macroporosity decreased significantly and a plow pan was evident. The Ks values of NT were significantly lower at 0–5 cm but significantly higher at 20–25 cm compared with CT, which showed the same trend with macroporosity. These results confirmed that long-term CT practice fragmented the tillage layer soil and compacted the lower layer soil and formed a plow pan. While long-term NT practice in the black soil region favored soil aggregation and a stable porous soil structure was formed, which are important to the water infiltration and prevent soil erosion.